A troubled past resurfaces when an investigative journalist agrees to help find a missing child. The Australian bush is unforgiving, and there is not much hope when a four-year-old boy, Clem, apparently disappears into it without a trace. When the police begin to suspect the boy’s step-father, his lawyer hires Damon, a specialist private investigator, to help defend him. No stranger to missing person cases, Damon agrees to let his partner, Lucy, interview the family. There she finds a strong connection to the boy’s mother, and determines to find Clem no matter the cost. Having lost her own parents young, and nearly lost her brother, she hopes it will help her to exorcise her own demons. Refusing to believe that Clem is dead, Lucy begins a search that will take her into the seedier side of a rural community with many secrets. In so doing, she will stumble across criminal activity that will put her in serious danger. But it will also stretch her fledgling relationship to Damon, the only person she has ever really trusted. Can she find Clem? Can she find an inner peace? Can she let Damon in? 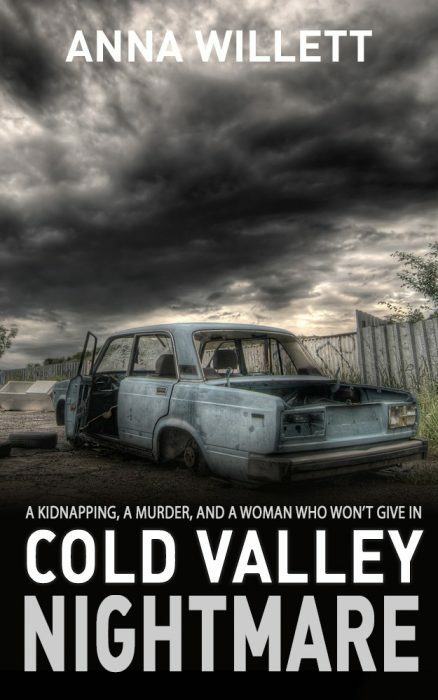 If you enjoy suspense thrillers you are in for a treat with COLD VALLEY NIGHTMARE. It is a standalone, but you can also read about Lucy’s backstory in the bestseller SMALL TOWN NIGHTMARE, which is FREE with Kindle Unlimited and available in paperback. After the success of my bestseller, Small Town Nightmare, many readers asked me for more from the central characters, Lucy and Damon. Like my readers, I knew I wasn’t finished with Lucy and Damon’s story so I decided to continue their adventures. Lucy Hush and Damon Lasseter are characters I originally created in my bestseller, Small Town Nightmare. Characters that are likeable, flawed and relatable. While Cold Valley Nightmare may be read as a standalone, the continuing story of Lucy and Damon is one that I think needs to be continued. In a place like Cold Valley, it wasn’t difficult to find an address. The Wheelers’ home was the smallest house at the end of Hollows Lane, a narrow sloping road jutting away from the small town. Lucy pulled in front of the red-brick house and noted that it was set apart from the other dwellings. Almost like an afterthought, the building was tacked on at the edge of the lane. The far side of the property was bordered by forests and faced a sharp corner where the lane became a sideroad that disappeared between the trees. “Is that what you think happened?” Lucy asked, turning off the engine. Damon turned in his seat so he faced her. “I don’t know.” His eyes looked darker, edged by shadows that revealed a sleepless night. Lucy hadn’t managed much sleep either, feeling Damon’s body shifting each time he’d tossed and turned. It was only in the early hours when she moved into his arms that they both had been able to sleep.